Should Australia ban the burka? 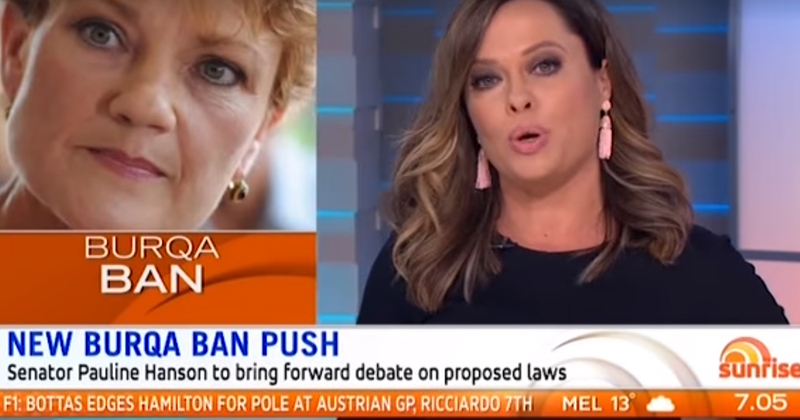 Pauline Hanson issues a call to ban the burqa in Australia. More and more countries across the globe are banning the burqa, including muslim nations. When parliament returns after the winter break, I'll be pushing forward with legislation to have our federal parliament ban the burqa also. In the past week, the Dutch have finally passed laws banning the burqa which will build greater social cohession, improve security and remove the suppression of women. Netherlands joins France, Belgium, Chad, Cameroon, Niger and the Congo to name a few who have also banned the burqa. It's time Australia moves in the same direction to remove this radical and suppressive garb. Share if you support my efforts to ban the burqa and be sure to contact your local member to tell them how you'd like them to vote. Muslim religion is a prehistoric wild religion and who wants to follow that religion must go to their own countries where that religion is practiced.. I will believe it when I see it has passed , because so much garbage comes from our Elected Members who are good at Back Flips . Yeah I fully support this and hope it goes through ASAP. Would like to see Islam banned altogether both here and all western countries, they just don’t fit in with our way of life. No country has ever benefitted in a positive way from Islam. Totally agree to ban the burkha and to be honest - ban islam! I have studied the filthy book they call the koran, the sura and the hadiths and it is NOT a religion of peace; rather a 'cult of pieces'. Pieces of women, children, anyone who won't convert and animals. A cult where their poor children are raised on bloodlust and continue it unless they wake up and leave; problem is that leaving islam is punishable by death . Islam is a cancer upon any society that is naive enough to allow it to enter. I do not hate moslems per se but totally hate their "religion'. Like cancer, islam 'infects' it's host country by slowly pushing for change, entering the country's politics and introducing laws that satisfy their cruel sharia law. All the while complaining about everything that is native to their host country and playing the 'victim card' to garner sympathy. Once islam hits 10% in the country they have passively invaded, then look out! Remember that Lebanon and Afghanistan were once Christian countries and after accepting moslem 'refugees', now look at them. Islam uses our decency, empathy and Constitution for their benefit. God help us. Trouble is that there is little honesty and courage in politics especially Federal. Anyone who is, is hounded, threatened, defamed, set up and blackmailed to tow the party line. Even the independents. I'm having big doubts about how true and honest our voting system is. We can try to vote them out but if the powers that be do not want them out... what's the chance the numbers will be changed? It's hard not to be overly cynical about so much.